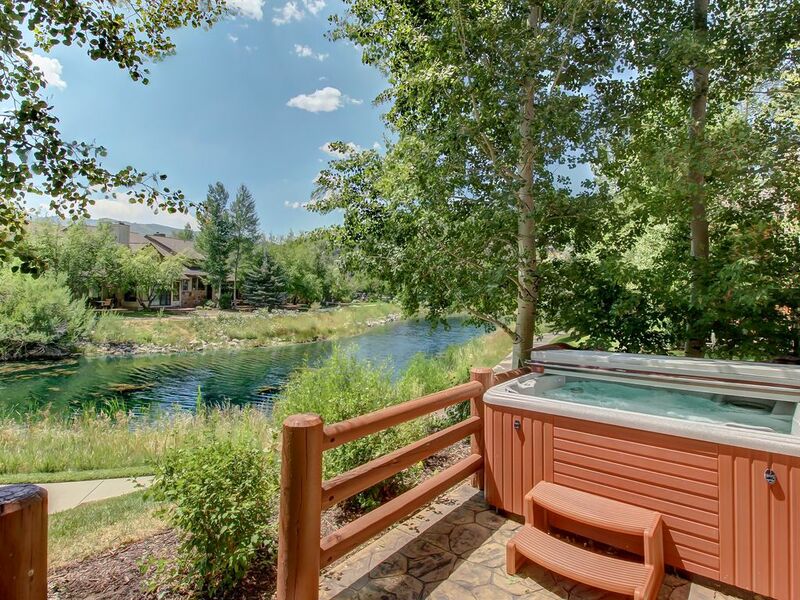 Alluring and whimsical for grownups and kids, this Deer Valley vacation rental - with hot tub - offers something for everyone. 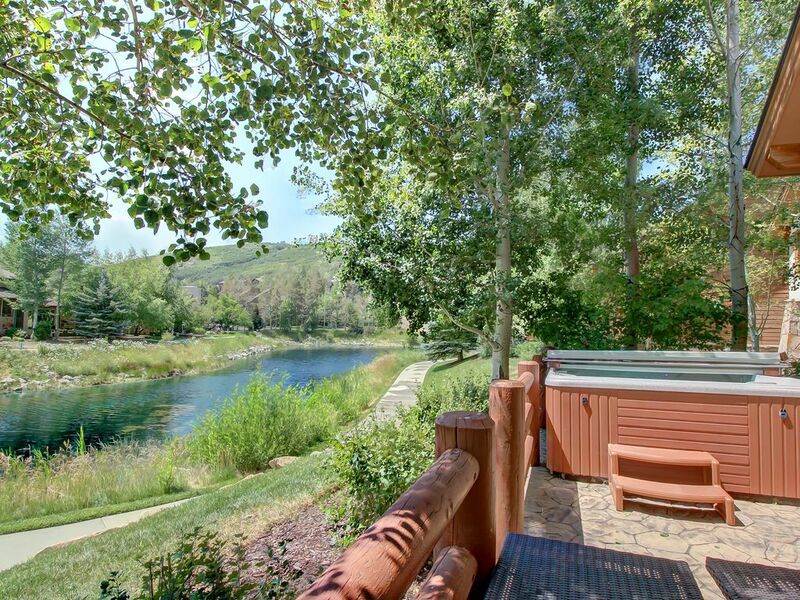 Want to spend more time enjoying your vacation and less energy worrying about the details? 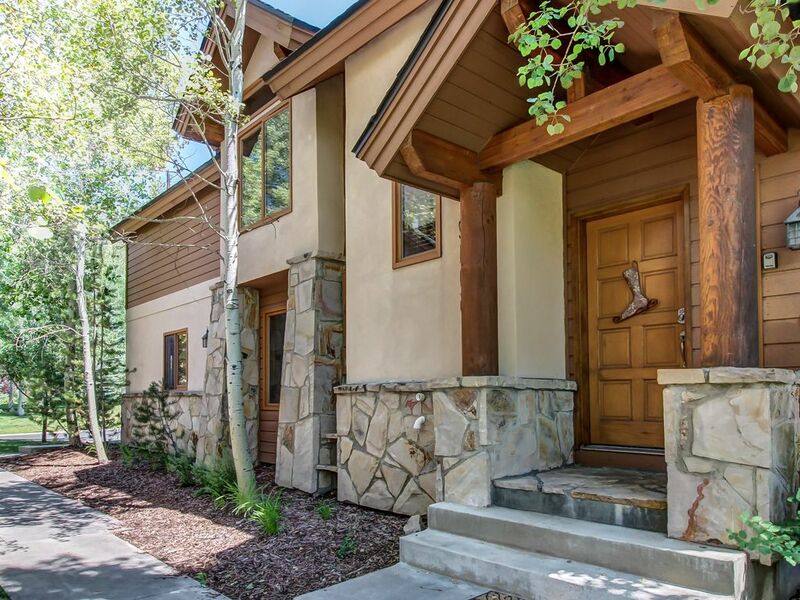 Vacasa has partnered with KEY in Park City, where a local concierge can handle anything from stocking the fridge with groceries to hiring a babysitter to bringing in a Christmas tree before you arrive. 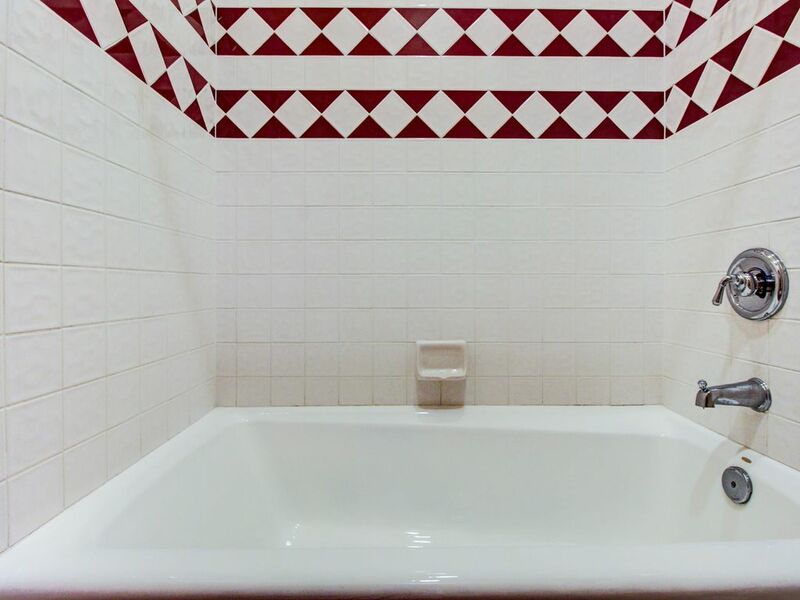 After reserving your stay, you'll receive details about how to take advantage of this service! 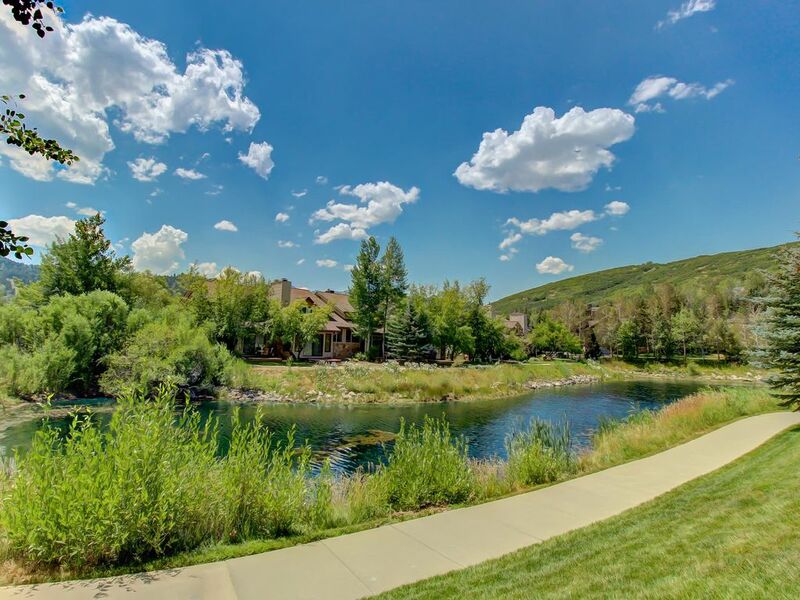 Nestled in an idyllic valley with convenient shuttle services right outside the front door, Deer Lake Village #3 offers both seclusion and access to skiing at Park City Resort. 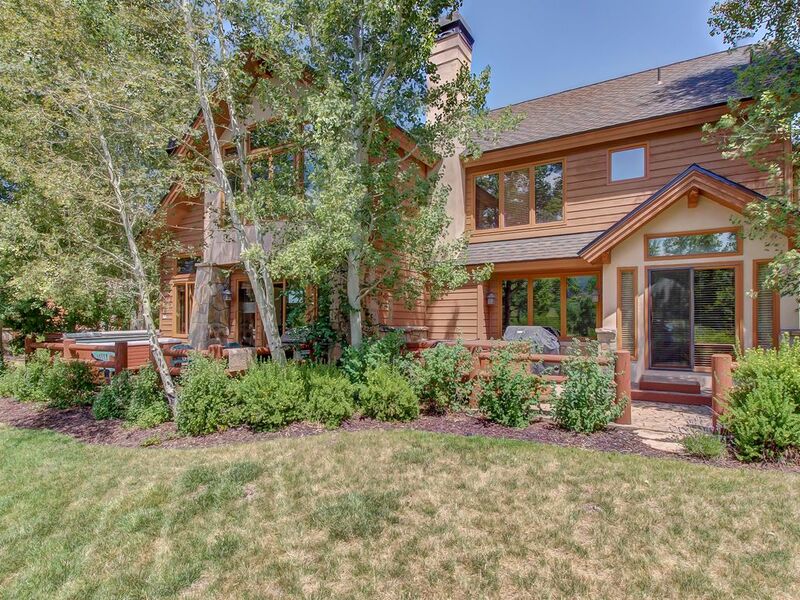 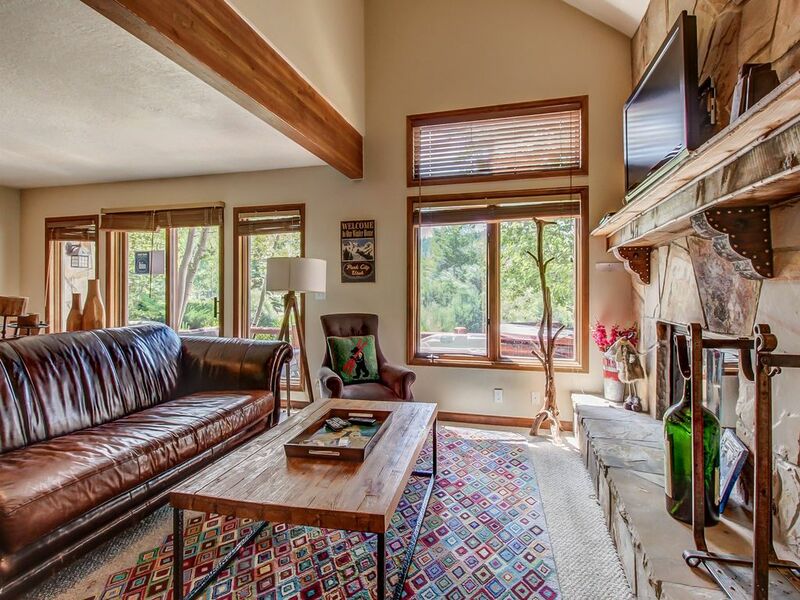 This alluring four-bedroom Deer Valley vacation rental is the quintessential mountain retreat. 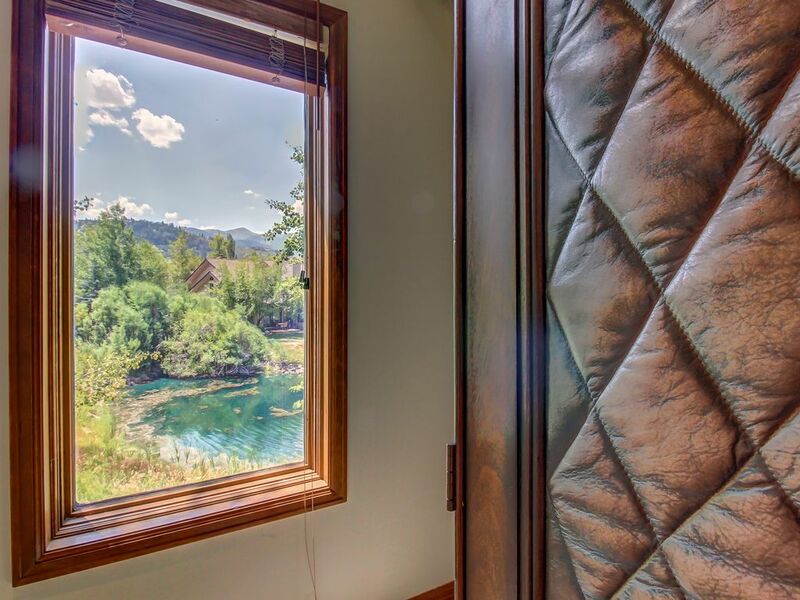 With whimsical touches for children and an air of extravagance for adults, this beautiful house embodies the best of both worlds to create an idyllic escape into nature. 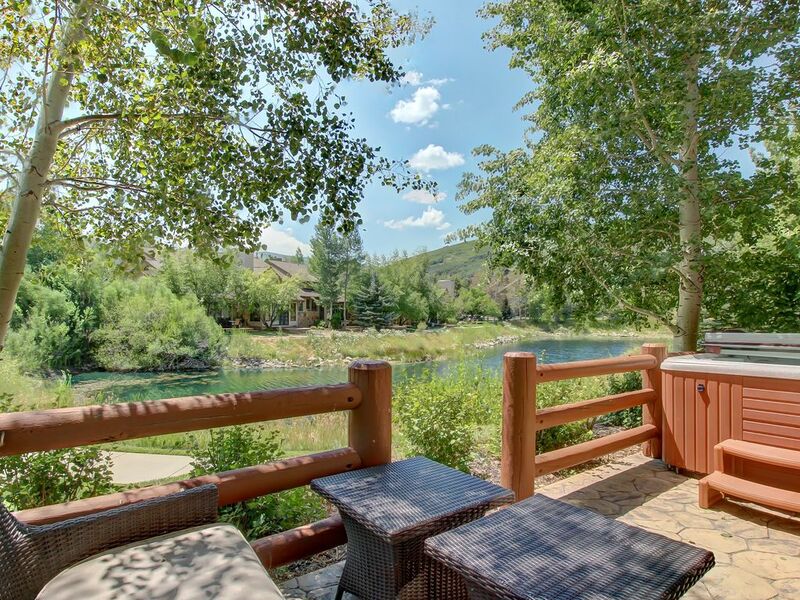 Quaint shops and friendly restaurants dot Main Street, about three miles away. 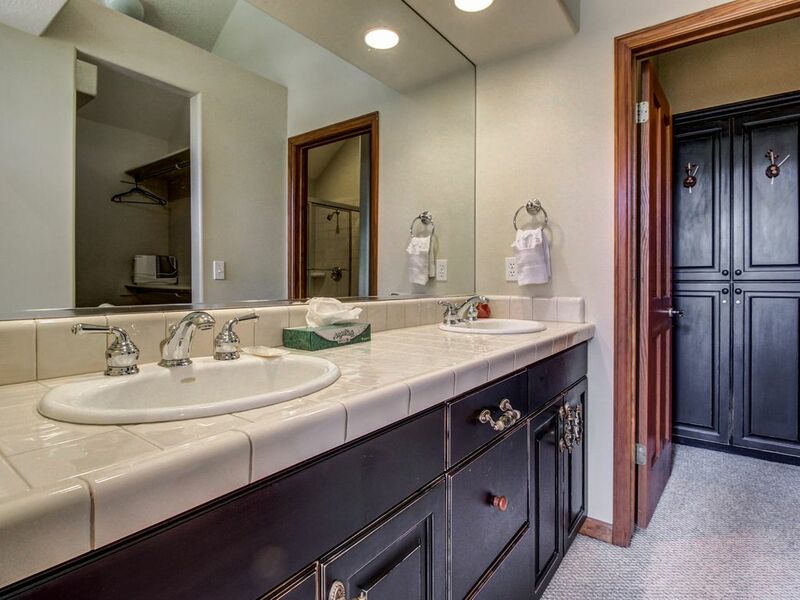 Indulge in shopping at Tanger Outlets 10 miles away. 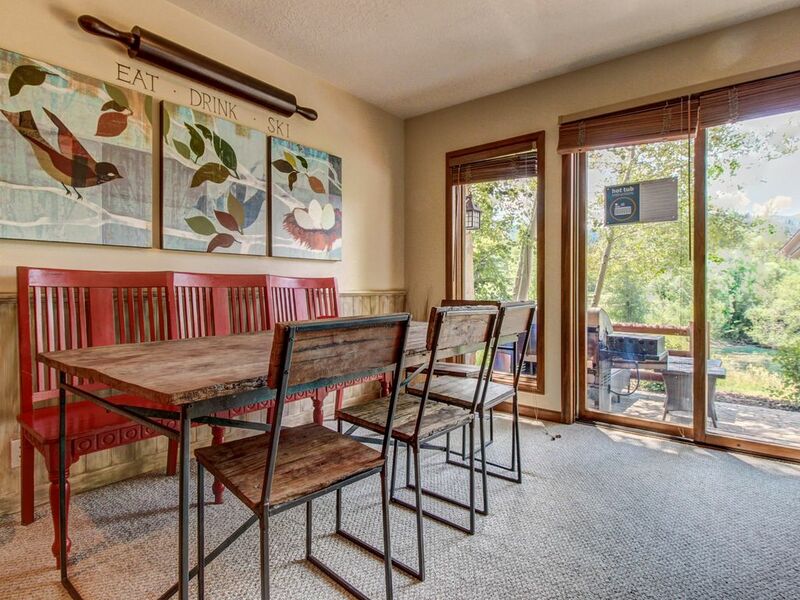 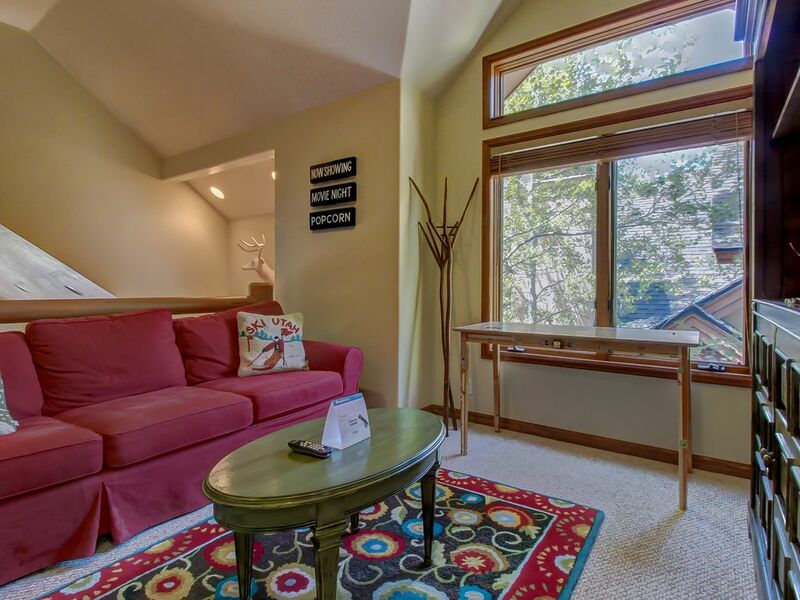 The comfy duplex welcomes you with a rustic exterior and a luxurious interior. 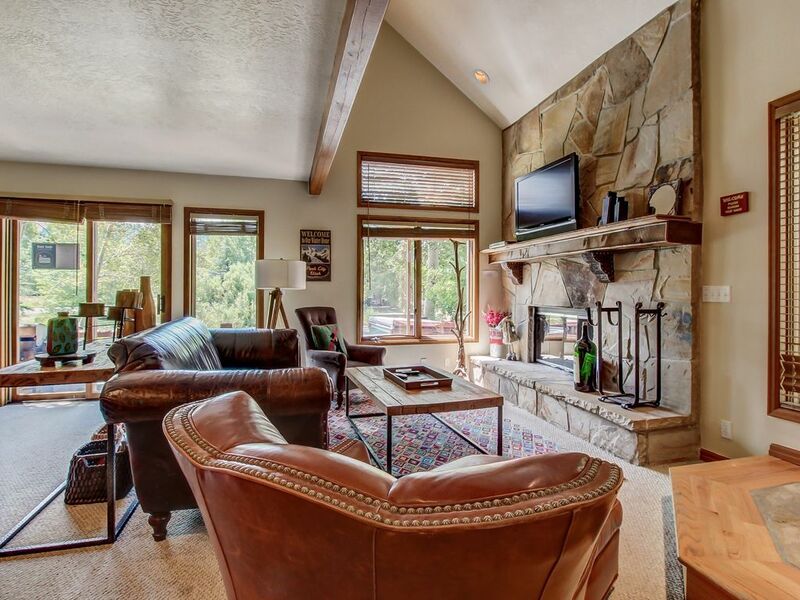 Arranged around the living room's wood-burning fireplace, tasteful leather couches beckon you to relax. 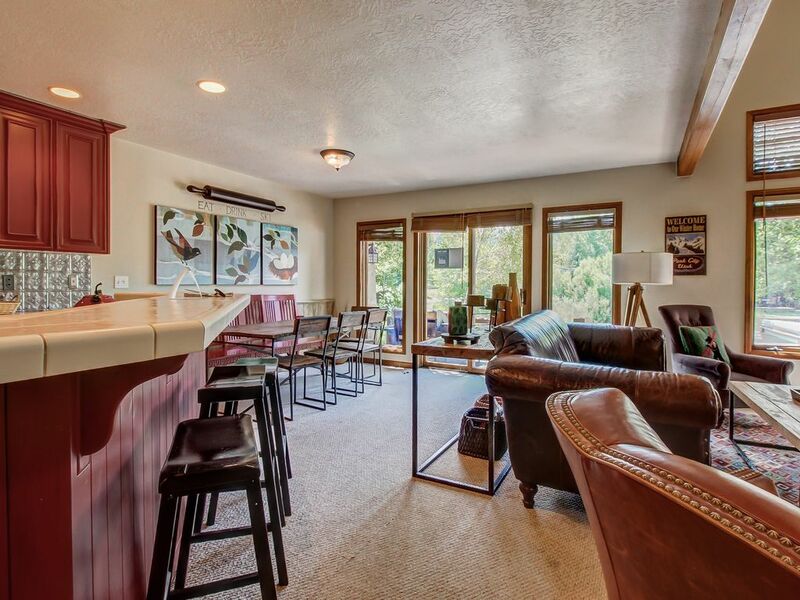 Gather round over mugs of cocoa, watch a movie on the flatscreen, or play a board game on the coffee table. 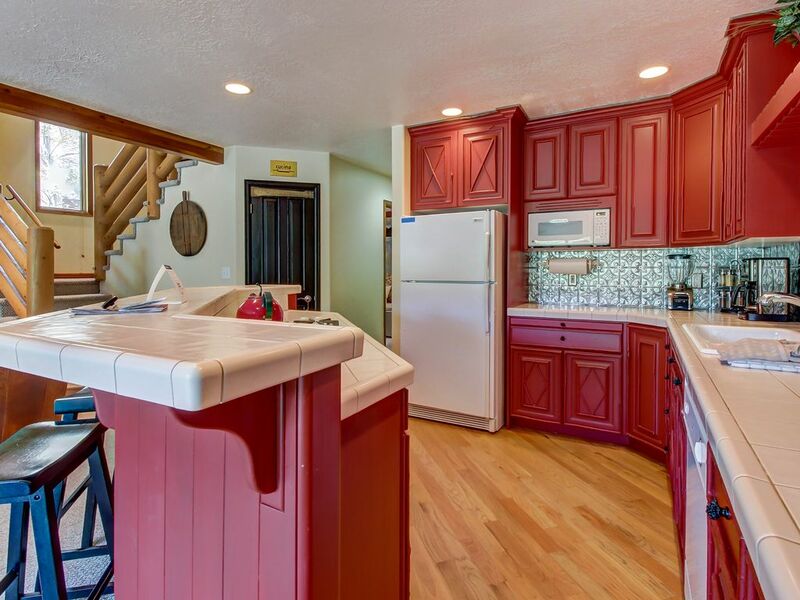 Alongside the living room is the fully stocked kitchen with vibrant red cabinetry and a pretty patterned tile. 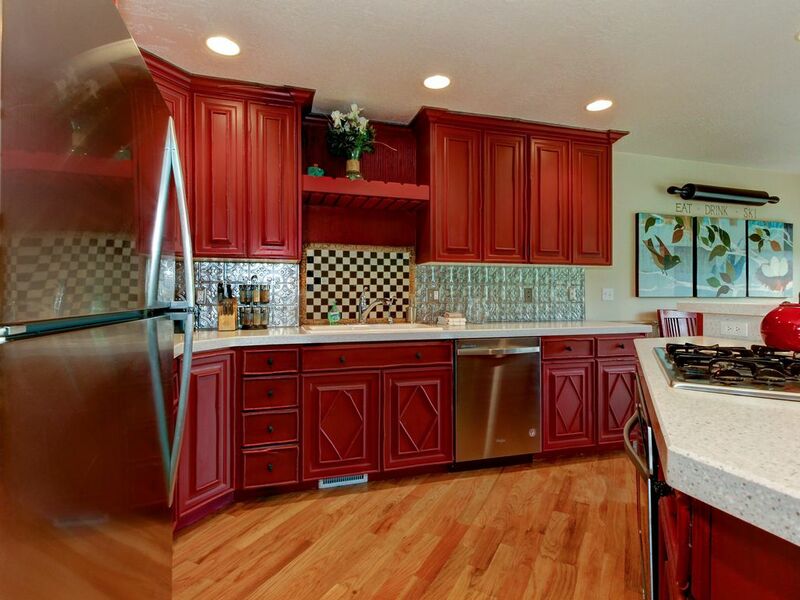 Share meals at the breakfast bar or dining table and then let the dishwasher take care of cleanup. 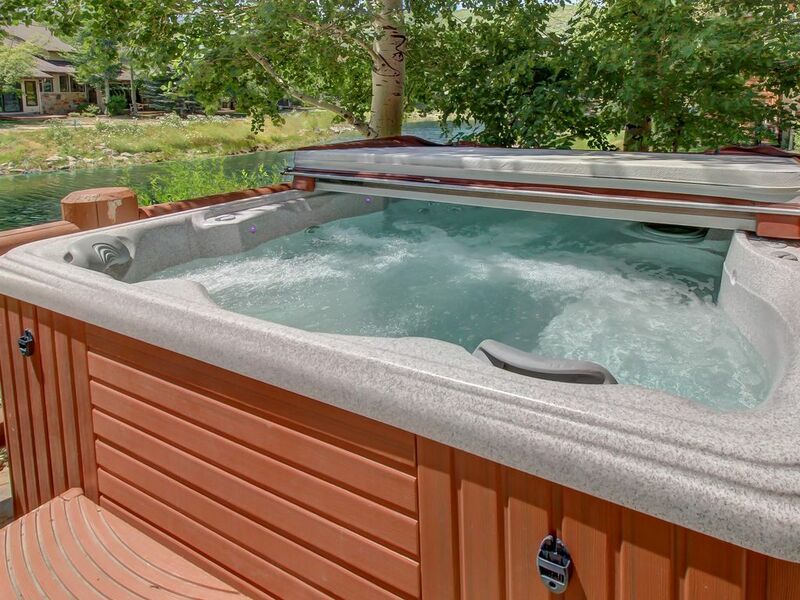 If the weather is right, head out on the furnished patio and enjoy the scenery from your bubbly spot in the hot tub. 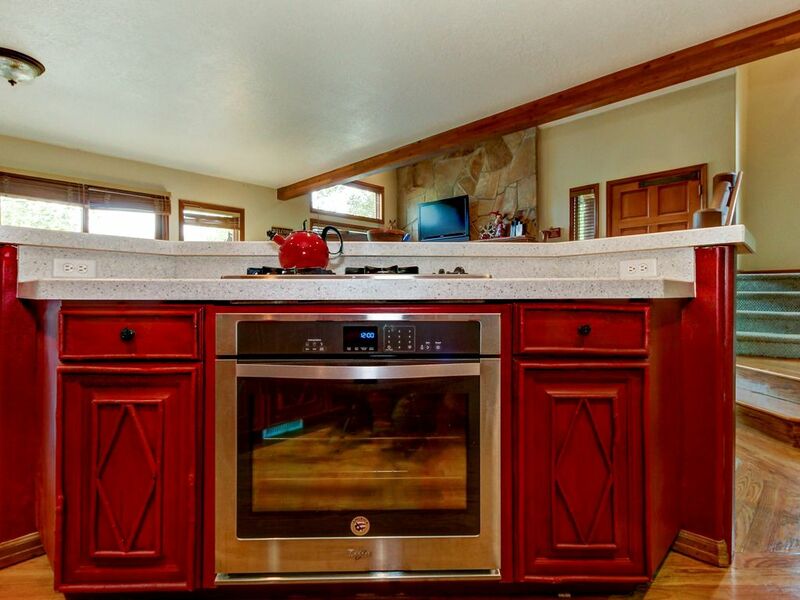 There's also a gas grill for summertime cookouts. 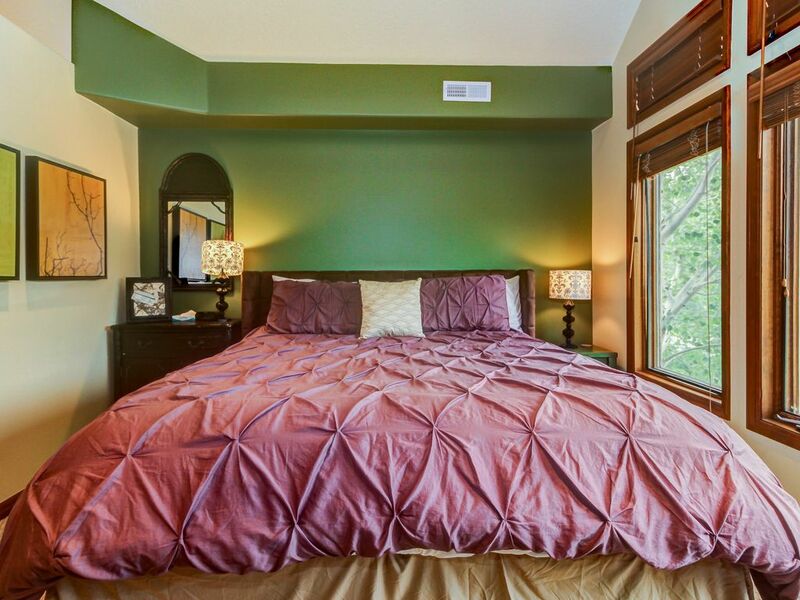 All nine guests will be accommodated among the four bedrooms. 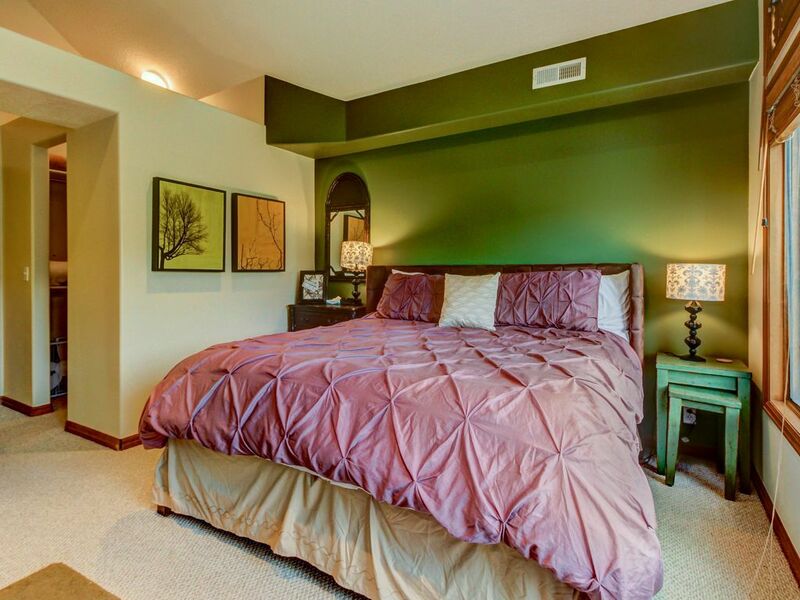 The two master bedrooms each hold a lavish king-sized bed. 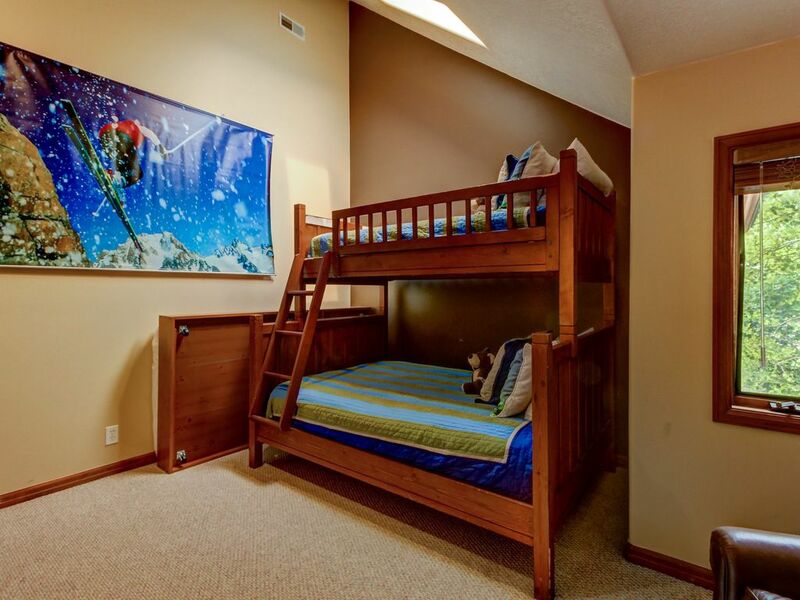 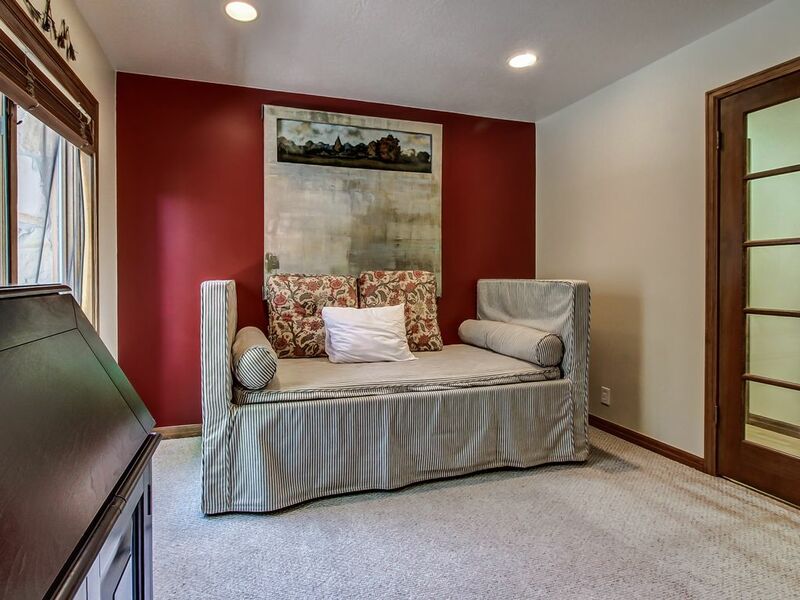 Children will sleep well in the guest room with a twin-over-full bunk bed and a trundle. 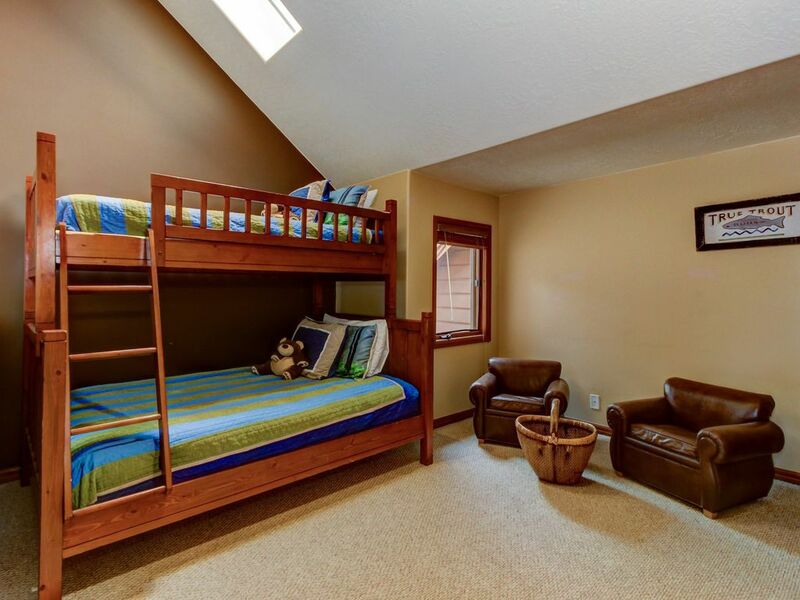 In a fourth room is a twin bed and second trundle alongside a loft with TV for late-night viewing. 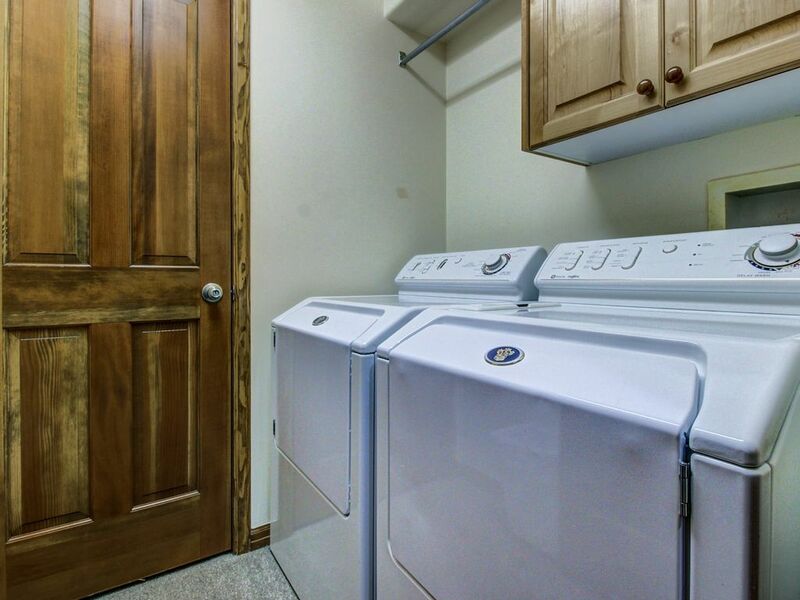 Four bathrooms, WiFi, and a washer and dryer make this a completely comfortable place to spend your vacation. 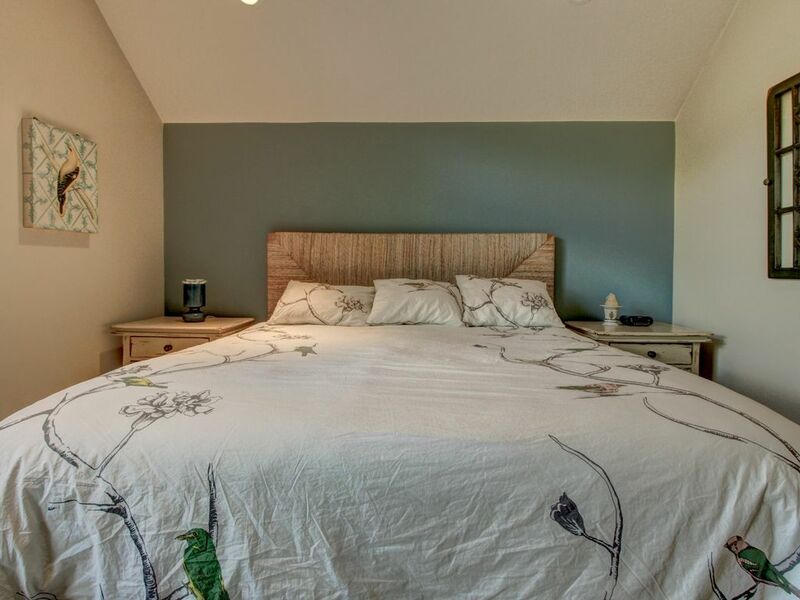 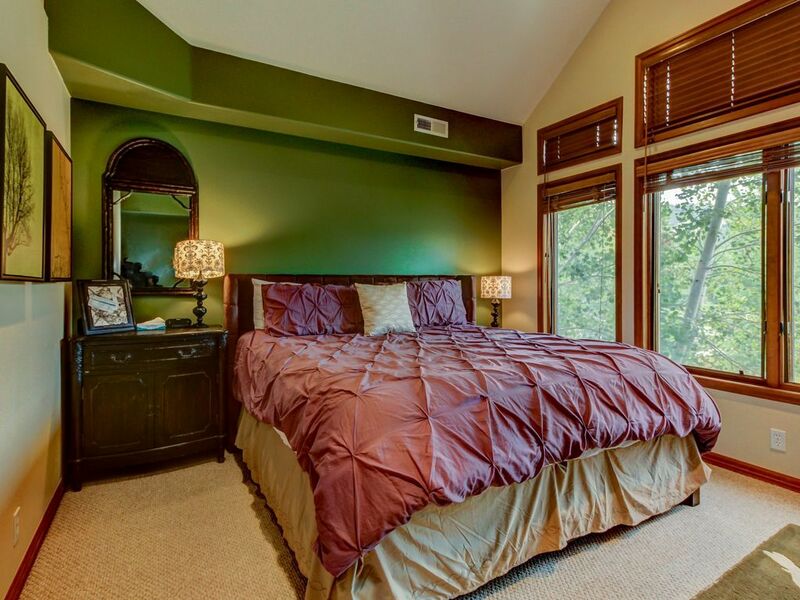 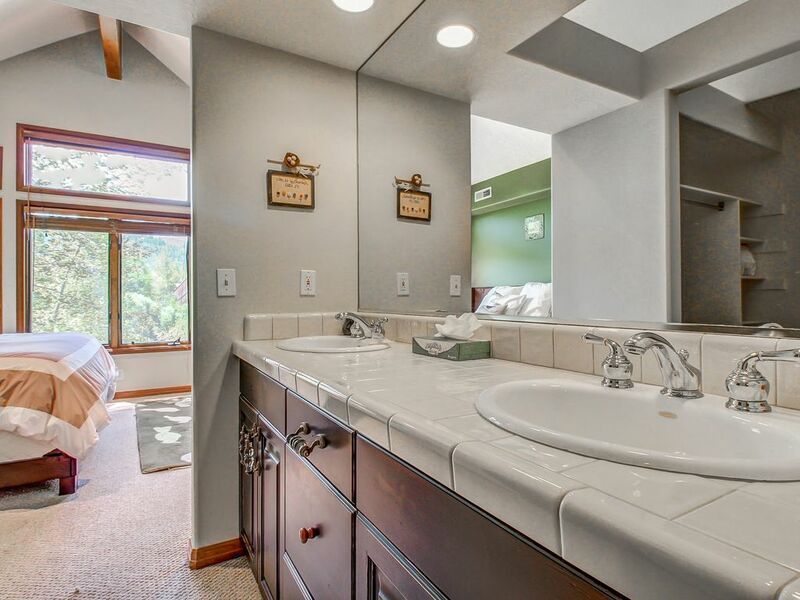 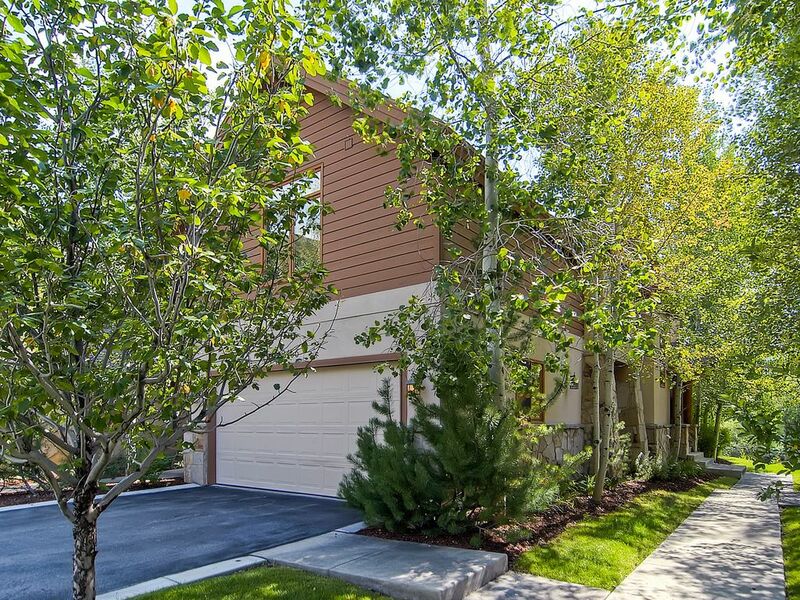 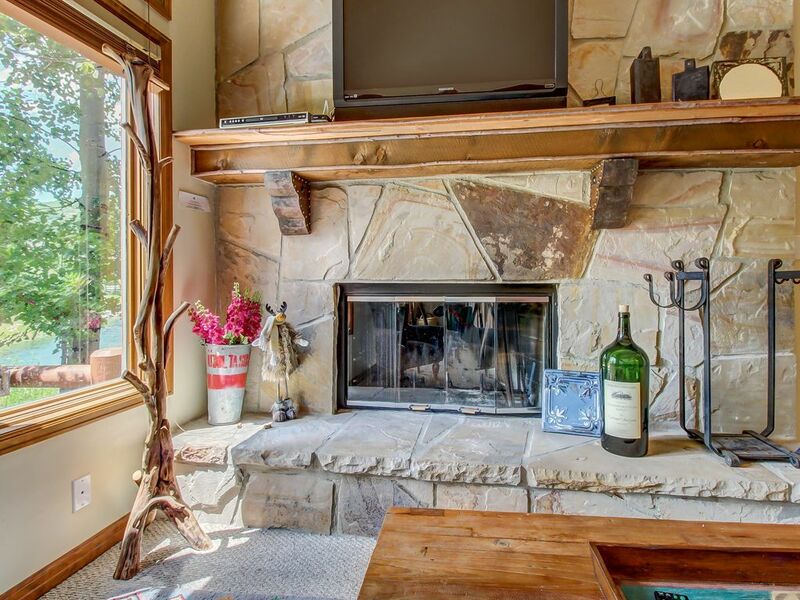 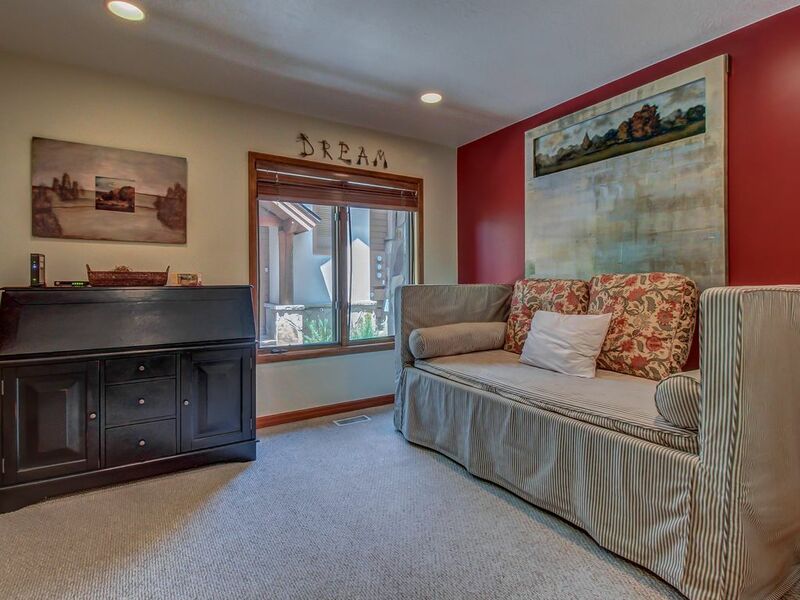 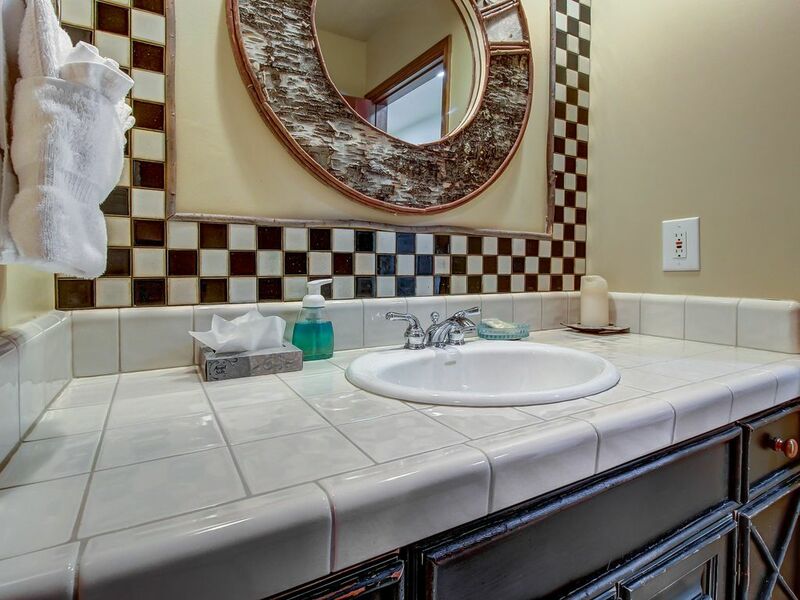 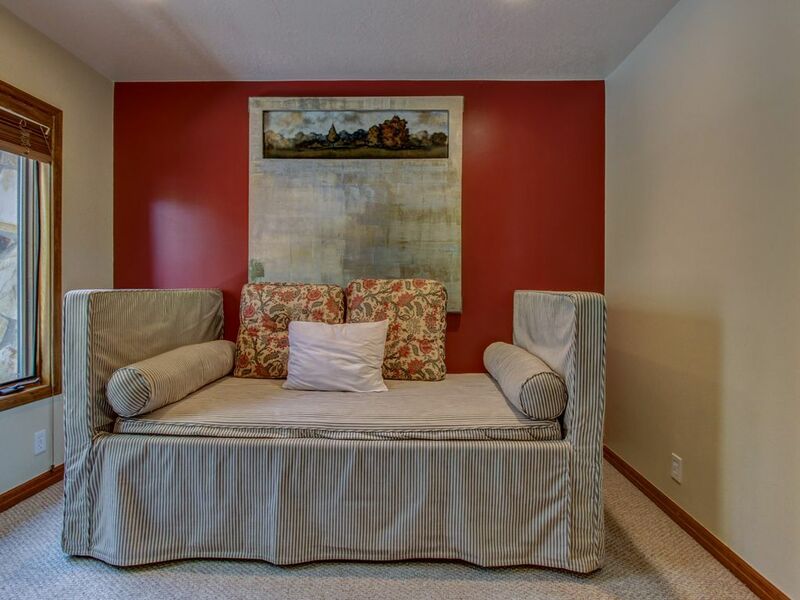 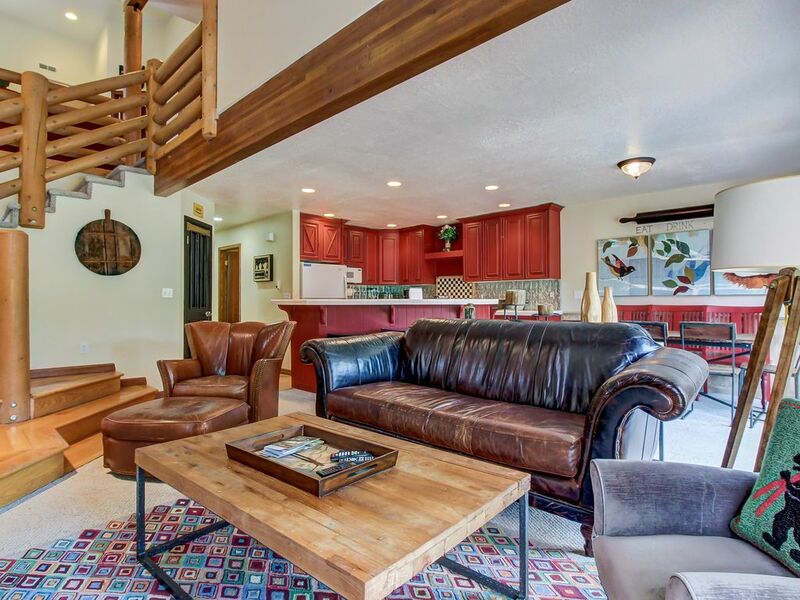 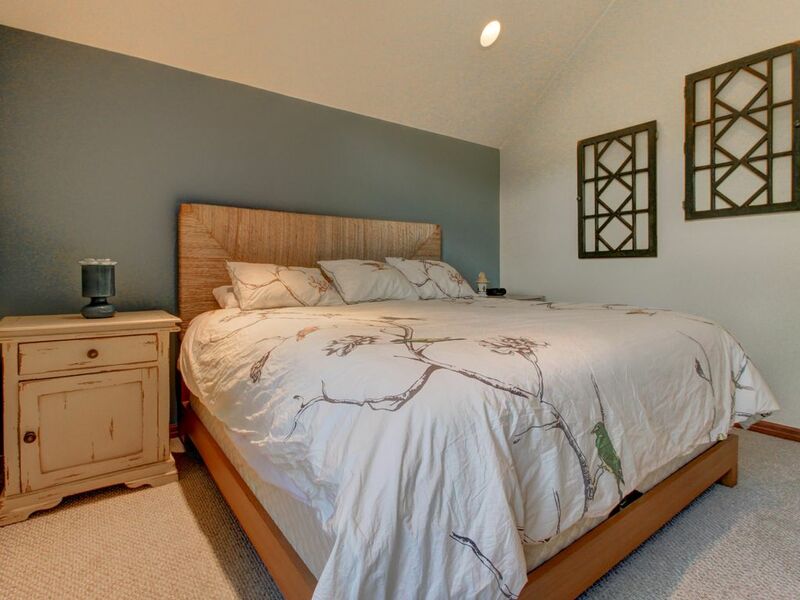 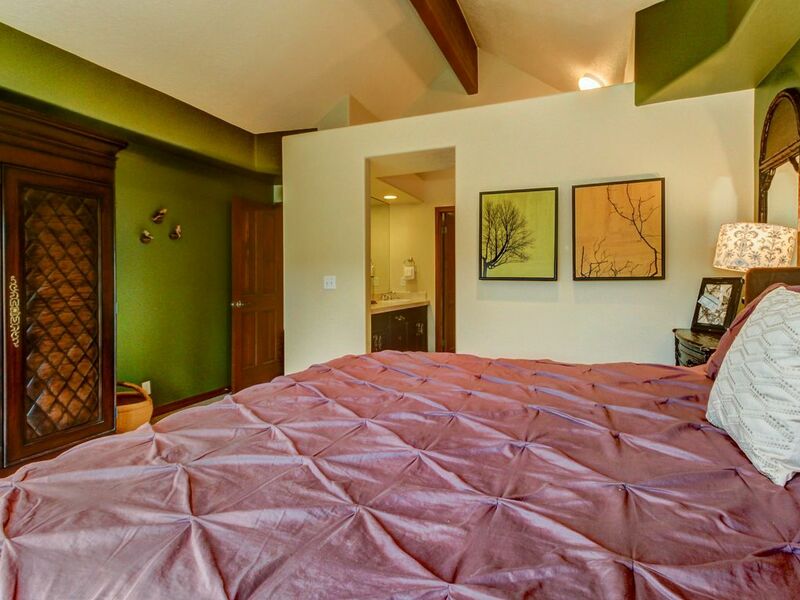 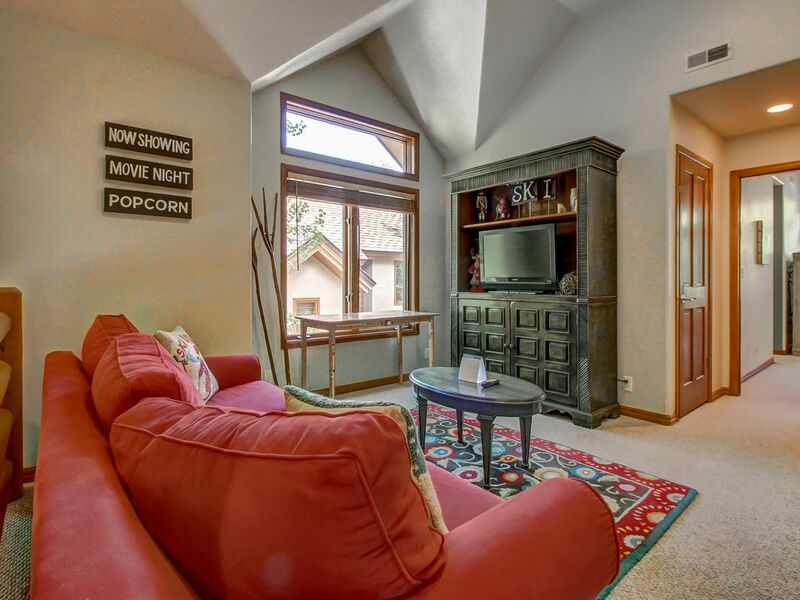 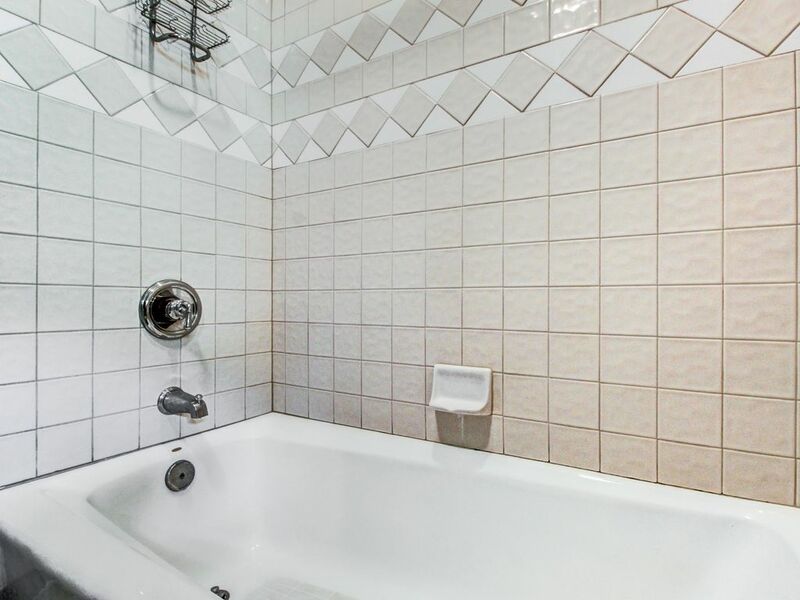 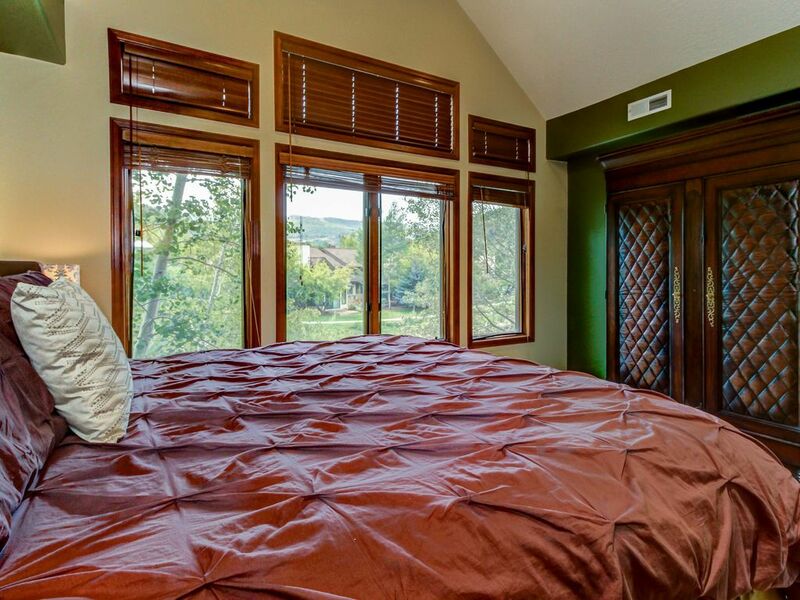 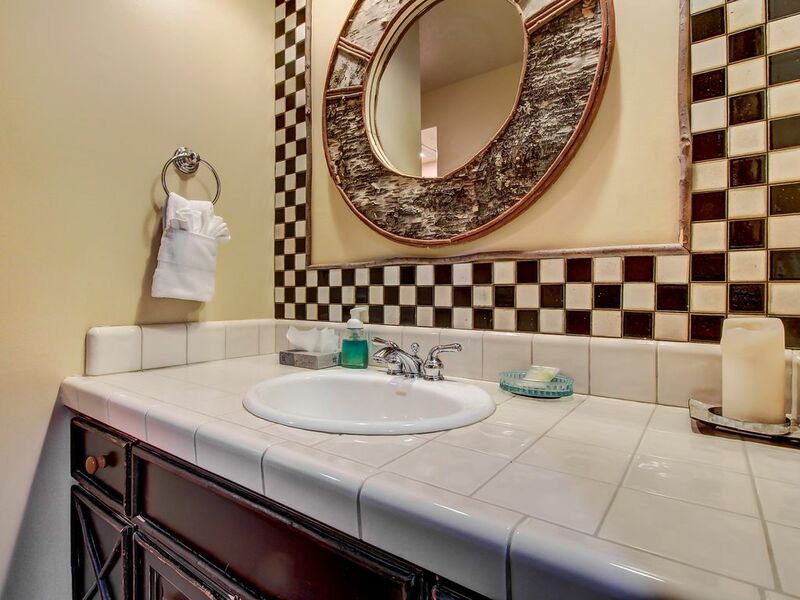 With its simple elegance, cozy luxury, and lovely location, this Park City vacation rental is just where you'll want to spend your precious time off!